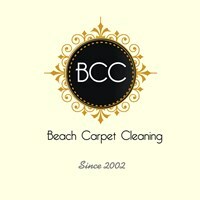 Beach Carpet Cleaning - Cleaning Services based in Ashington, West Sussex. Our customers can rest assured that we are a hard working, local Sussex family company. One of the trade leaders in stain removal. Constantly updating our knowledge of new textiles and cleaning methods. Full and up to date training. Trade leader in stain removal. We also have a Beach Carpet Cleaning Facebook business page with over 175 reviews, please click the link to view. Carpets can really suffer from the effects of general living – the kids, the dog, the dirty shoes, that accident with the red wine, just life in general will soon have your beautiful new carpet looking shabby if it's not cleaned regularly. And your upholstery. How does your lovely comfy sofa look these days? Is it a little the worse for wear? We can breathe new life into your upholstery with our amazingly deep cleaning – why consider a new one when the old one could be easily cleaned for you to be proud of it once again. How would it be to relax on your beautiful sweet smelling and smart, newly cleaned sofa? Don’t even think of replacing your carpets or your sofas until you have spoken to us to see what we can do for you. You will be very surprised at our reasonable prices, the quality of our work and the courtesy and integrity of our service. In an age where service doesn’t seem to count for much anymore, you can rely on us to give you the great service you deserve. Have you just moved to a new house or flat? Wouldn’t you like to know that there is no evidence of the previous owners left in the carpets? That they are all clean and fresh for you, to welcome you to your new home? It’s easy – just give us a call. Have your carpets professionally cleaned regularly. Are you happy for your beautiful new baby to be crawling around on grubby carpets? Wouldn’t you feel much better knowing that your baby can’t pick up anything dirty or harmful from your carpets? Our deep cleaning and allergy treatments will ensure that your babies and toddlers are fully protected. We can even stain guard the carpet to help you deal with their own little spillages! We all love our pets don’t we, but they too can add to the odour level and dirtiness of a carpet. A doggy smelling carpet isn’t a nice welcome for your visitors, so why not spruce them up! We can also spray your carpets for insect eradication, so if he brings in any unwelcome visitors, like fleas, they won’t last for long if they jump ship! Why not give us a call right now and find out what we can do for you – we can strive to provide a great service, a super result and it may be a whole lot cheaper than getting new carpets or upholstery – You have nothing to lose but a nearly new carpet to gain. Clean - Fresh - Healthier Carpets Can Be Yours Today.